A delicious twist on your ordinary burger! 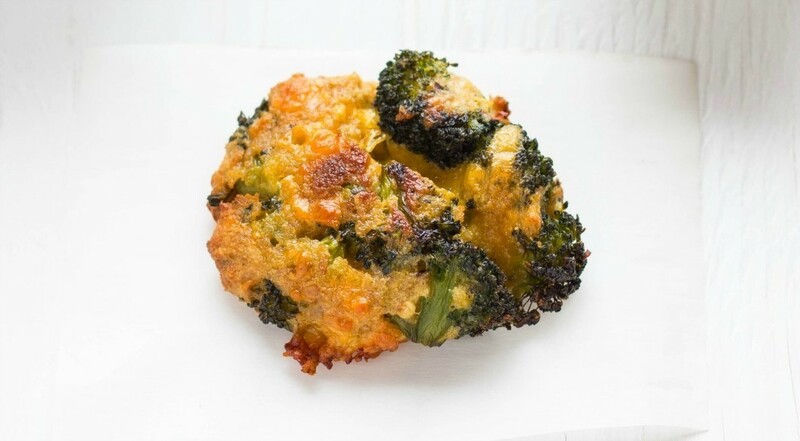 These broccoli "burger" bites are delicious and easy! 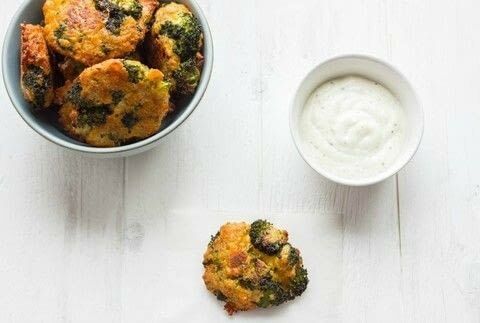 Full of broccoli and cheese, they are the perfect vegetarian meal and can easily be made for a hearty toddler snack. Heat a wok over medium-high heat with 2 tbsp. canola oil. Add the broccoli and cook for a couple of minutes. Add in the garlic and soy sauce and keep cooking, tossing constantly, for about 5 minutes or until tender-crisp. Since we are baking the broccoli in the oven afterwards, you don't want to overcook them in this step. Think tender-crisp when you steam broccoli, not soggy. Remove from heat and pour into a medium bowl to cool slightly. Add the cheese, breadcrumbs, eggs, and red chili flakes. Season with some salt and pepper. 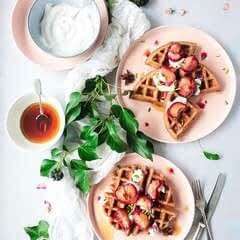 Combine all the ingredients until evenly mixed. *If you find your mixture is too dry, add in another egg. At the point of making this recipe, I don't even measure out ingredients anymore, especially the broccoli. I am sure I add over 2 cups. Preheat oven to 375F. Line a baking sheet with parchment paper. Using your hands, form the the mixture into little patties. The amount you get depends on how large you make them. I made 10 round patties that I flattened slightly to resemble burgers. 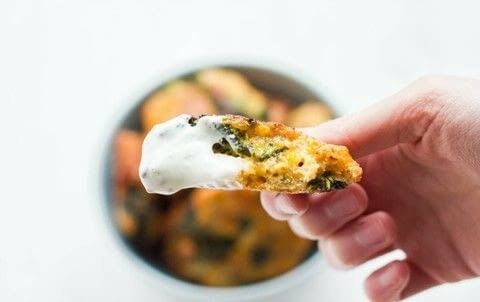 Arrange on the baking sheet and place into the oven for 15 minutes. Remove from oven, flip the patties over, and continue cooking for another 10 minutes.